A Labasa man has returned to his roots to pursue his dream in serving the people of Labasa through a medical clinic. Growing up in Vunicuicui, a cane farming community, outside Labasa Town, Doctor Atinesh Prakash had always envisioned having his own clinic. 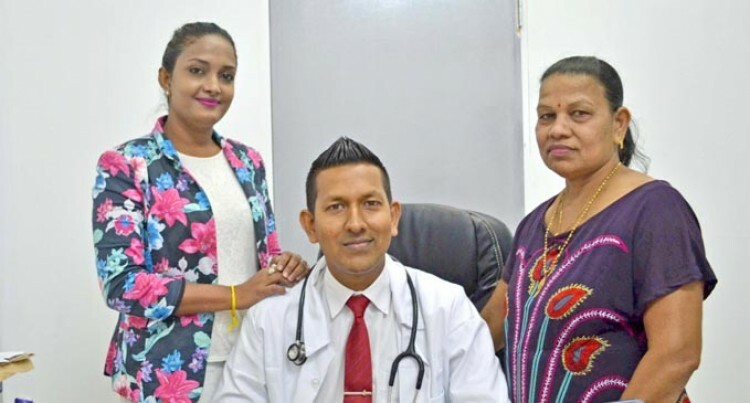 The 31-year-old’s dream came true a month ago after he opened the ‘Prakash Medical and Wellness Clinic’, much to his delight and that of his family members. “I joined Dr John Fatiaki’s medical clinic for the past four years to experience what it is like to operate privately,” Dr Prakash said. Dr Prakash said this was his bid to give back to his hometown and he wanted to offer them the best of his services. “My clinic is open every day of the week and a few hours on Sundays and public holidays,” he said. “One of the things that I am doing differently is home visits. If someone is old or very sick and is not able to come to the clinic, then I can visit them at their homes. “I will also be operating after my working hours so if an individual needs consultation after working hours then I am available to offer them my services. “I realise the need to attend to urgent health issues and I will do my best to attend to people’s needs,” he said. In an earlier interview with the Assistant Health Minister Veena Bhatnagar, she said private medical clinics were always welcomed. Ms Bhatnagar said private clinics helped ease the load from major hospitals. Dr Prakash’s clinic is located along Sangam Avenue in Labasa Town.